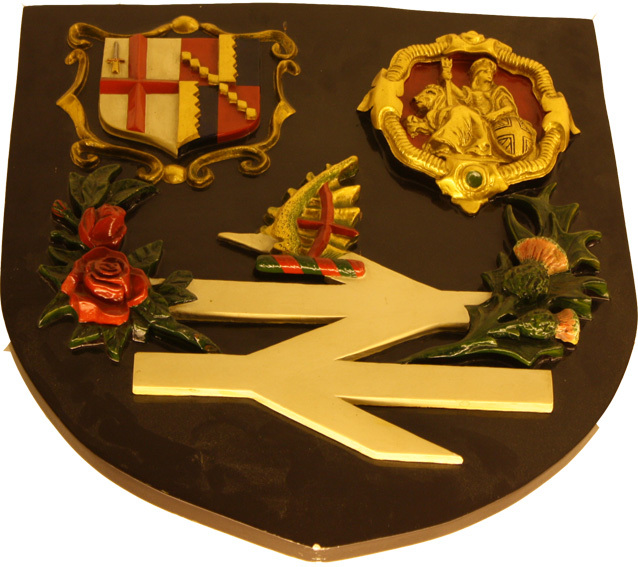 This crest was designed by Geoffrey Tew, a former Manager of the Railway Works. It combines the new British Railways logo and that of the London and Birmingham Railway Company and the symbols for England, Wales and Scotland. Whilst many of the other crests displayed with this one in the Board Room at Milton Keynes Musuem appeared on the sides of locomotives and carriages, this one new did not.